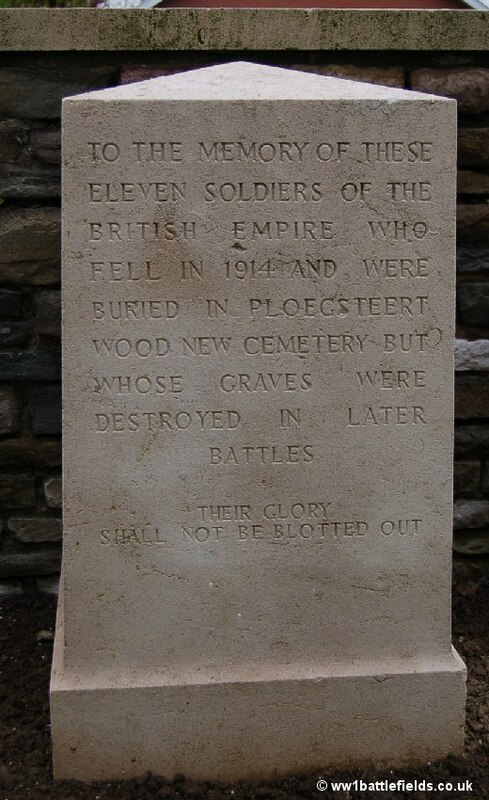 The name of this small village, and of the nearby wood, is actually Ploegsteert, but to those who served here during the Great War it became known as Plugstreet. The village is eight miles south of Ypres and not far from the French border. Ploegsteert village is located to the south-west of the wood, and there are cemeteries and other sites of interest on all sides of, as well as within, the wood. There were no major set-piece battles in this area, and Ploegsteert remained in British possession during the major part of the War. Only in 1918 did the Germans take it briefly. There is much to see here, and an excellent guide-book to the area in detail is A Walk Round Plugstreet by Tony Spagnoly and Ted Smith. The Holt’s Guide to the Ypres Salient also covers this area well. The major site of interest in the area is the Ploegsteert Memorial to the Missing, situated on the N365 north of Ploegsteert village.The location was known as ‘Hyde Park Corner’. The Memorial stands within the Berkshire Cemetery Extension – see more on this cemetery below. For those who enjoy walking the battlefields, there is an excellent walk starting from here covering this area and also Plugstreet Wood (see later on this page) in Paul Reed’s Walking Ypres. The Ploegsteert Memorial to the Missing is a circular structure, supported by pillars, around the outside of which are the panels inscribed with the names of the missing. On the top of the memorial are inscribed the words “Berks Cemetery Extension”. 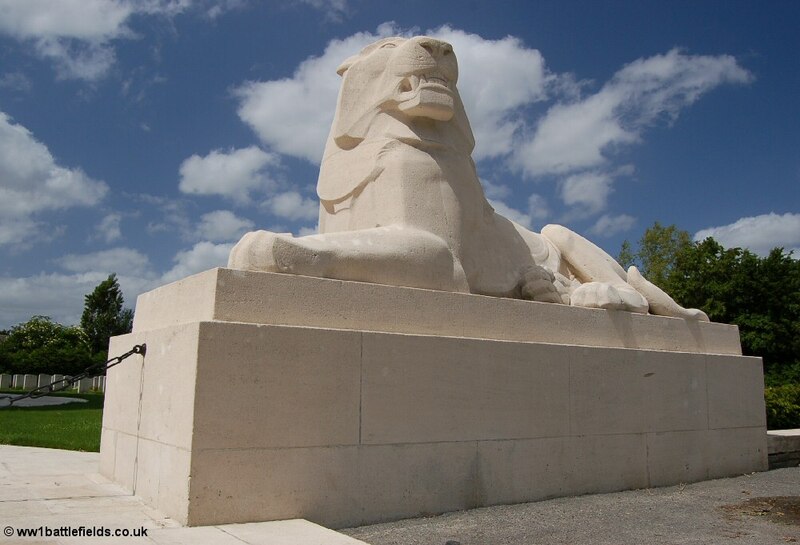 Two large stone lions flank the memorial, which was designed by H. Charlton Bradshaw, and was opened in 1931. The opening ceremony was attended by large crowds, and pictures published in The Times show some of them standing on the plinths of the lions to secure a better view. At present, 11,369 men with no known grave are commemorated here, with their names (as at other memorials) arranged by Regiment, and then alphabetically within each regiment. The inscription on the interior of the circular top of the memorial shows that the memorial commemorates “those who fell fighting between the River Douve and the towns of Estaires and Furnes”. The area covered by the memorial runs from near Warneton in the north (about three miles north-east of Ploegsteert) to Estaires in the south, and includes Armentieres and Bois Grenier. The cemetery itself was started in June 1916 and used until September 1917. 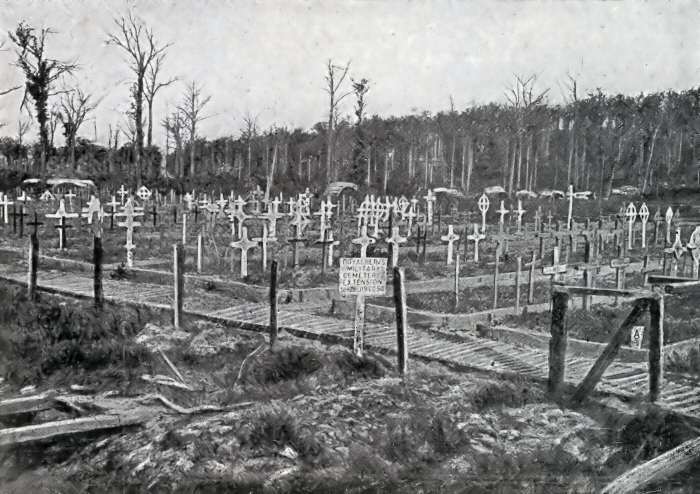 Some of the graves here are located back to back, and an early photograph of this cemetery in the Michelin Guide to Ypres shows this, along with a similar view today. 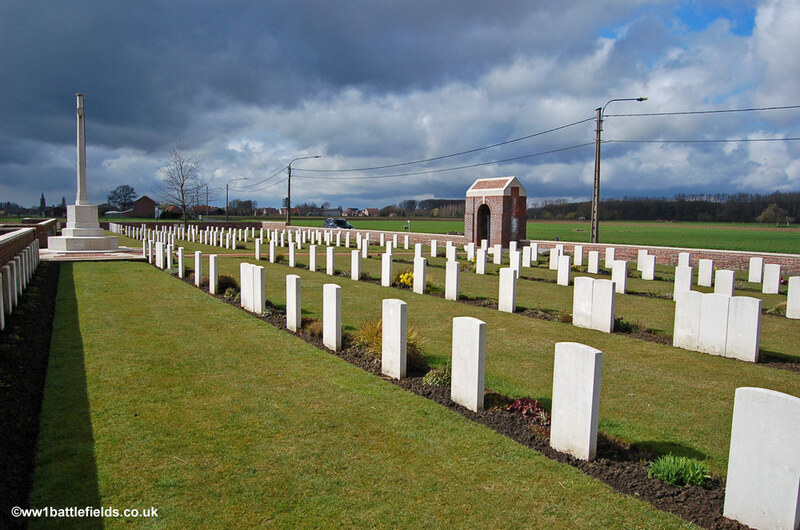 At the Armistice, the Cemetery consisted of the graves in Plot 1 only (which is to the right of the memorial as you look at the cemetery from the road). In 1930, Plots 2 and 3 were added by moving graves from Rosenburg Chateau Military Cemetery and Extension, which was located north-west of here. This was unusual; many smaller cemeteries and isolated burials had been moved in the years immediately after the Armistice, but these graves were moved much later. These plots are to the left of the Memorial to the Missing, which stands in the centre of the cemetery space. 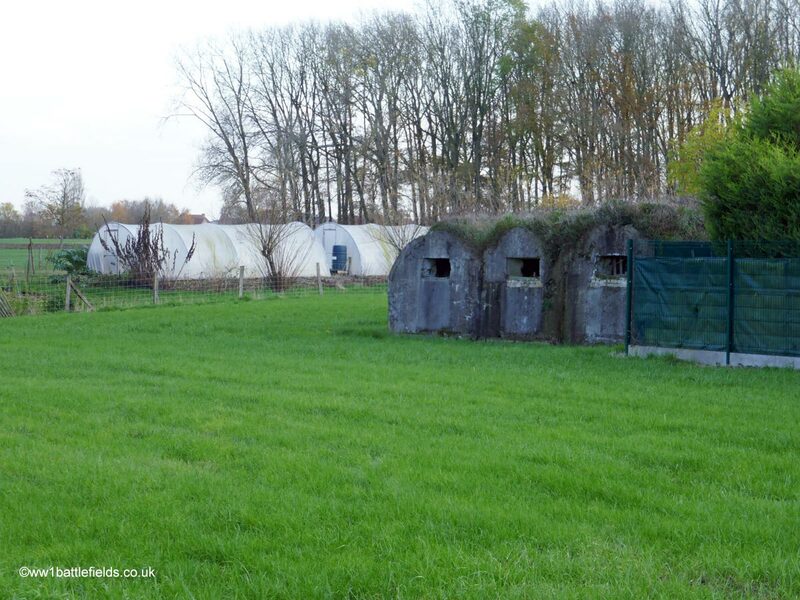 The graves in Plots 2 and 3 had to be moved because the Rosenburg Chateau Military Cemetery and Extension stood in the grounds of the chateau and the owner felt that, as he rebuilt his house, the cemetery would stand too close to it. 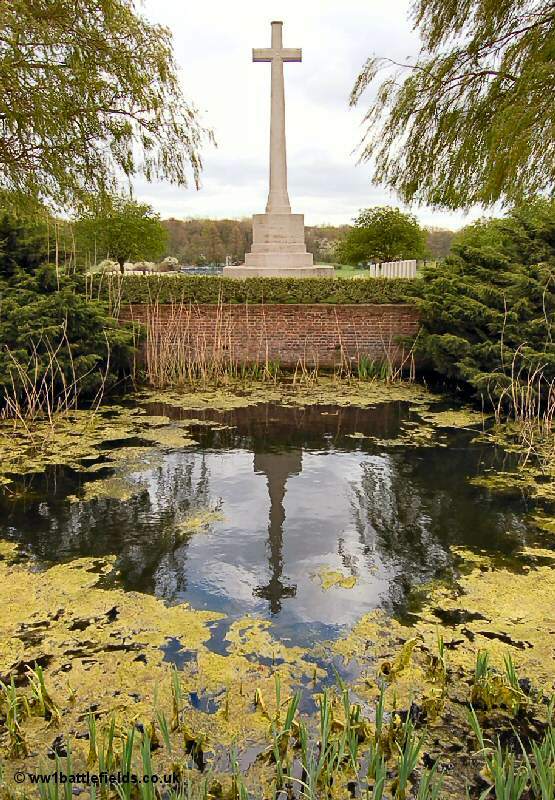 Despite pleas from the British and Belgian authorities, he remained firm, and eventually the 475 men buried there were exhumed and moved the half mile distance to this, their final resting place. In March 1930 The Times reported that “each body, as it was reverently taken from the earth, was placed in a coffin draped with the Union Jack and removed by motor ambulance to the Royal Berkshire Cemetery Extension”. This cemetery now contains 876 burials in total. 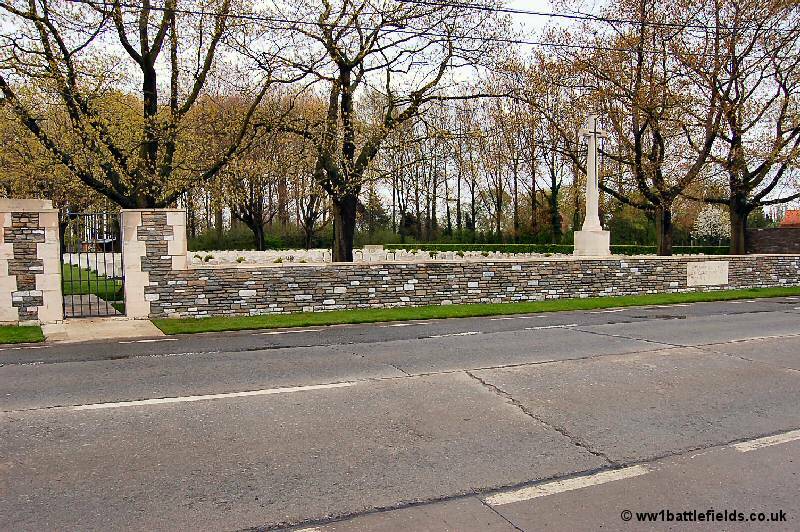 A Duhallow block situated to the left of the memorial commemorates five soldiers originally buried in Rosenberg Chateau Cemetery and Extension whose graves were destroyed in later battles. Across the road from the Memorial to the Missing is the original Hyde Park Corner (Royal Berkshire) Cemetery. This was started earlier than the Extension, in April 1915, and was used until November 1917. This small cemetery contains some 90 graves. 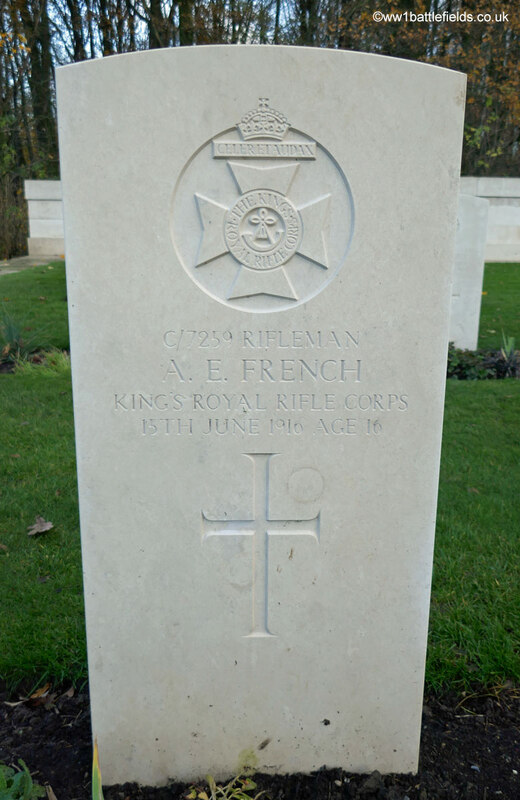 Grave B2 is that of Albert French of the Kings Royal Rifle Corps, who died in July 1916 aged just sixteen. 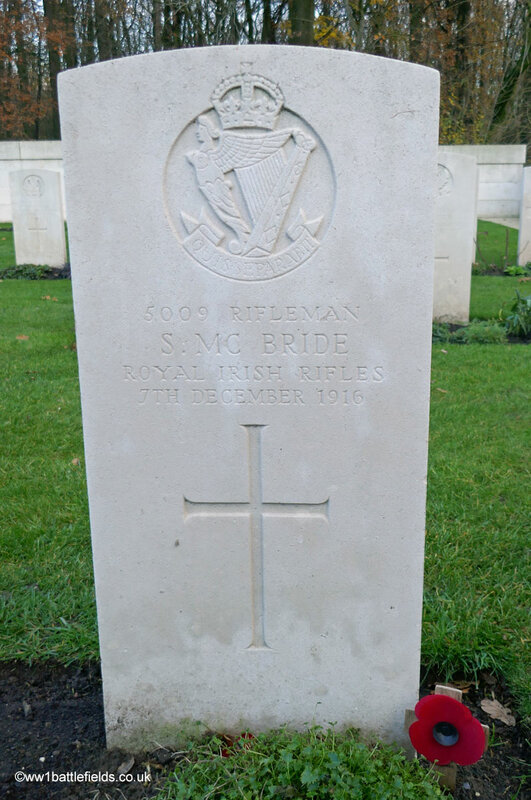 Grave 1A is that of Rifleman Samuel McBride, of the 2/Royal Irish Rifles, who was executed for desertion not far from here at Hope Farm (near Prowse Point Cemetery, see below) on the 7th of December 1916. The other main area of interest is Plugstreet Wood, as it was known to the soldiers in the Great War. The way into the wood is from Prowse Point Cemetery, reached via a small road leading east from the main N365 (or right as you head back towards Ypres from the Ploegsteert Memorial). The turn is just after the N365 bends right then left, and after buildings on both sides. There are green CWGC signs for several cemeteries pointing the way. The first cemetery reached is Prowse Point (see below), however, continuing past this cemetery will bring you to the location of the Khaki Chums Cross. Members of the Khaki Chums (also known as The Association for Military Remembrance, specialists in many aspects of British and Commonwealth military history) spent five days over Christmas 1999 living in a waterlogged trench here. They placed the cross in position at the end of their stay, and it has been maintained and cared for by the local people since. 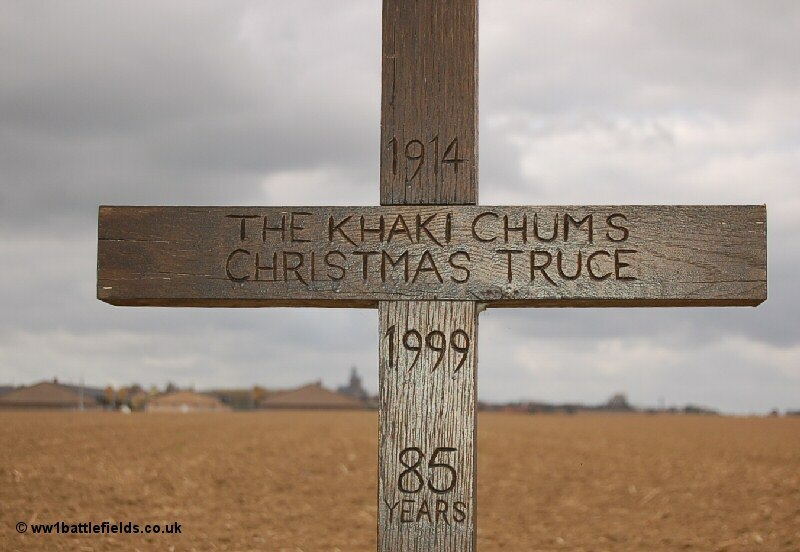 If you head back towards the main road from the Khaki Chums cross, Prowse Point Cemetery will now be on the left. From here Messines church can be seen to the north on the ridge, and Mud Corner Cemetery, lower down the slope in front of Ploegsteert Wood. The cemetery was started early in the war (November 1914) and used right up until April 1918. The cemetery was named after Major Charles Prowse, who later as Brigadier-General of the 11th Infantry Brigade was killed on the 1st of July 1916 at Beaumont Hamel, and is buried in Louvencourt Military Cemetery. 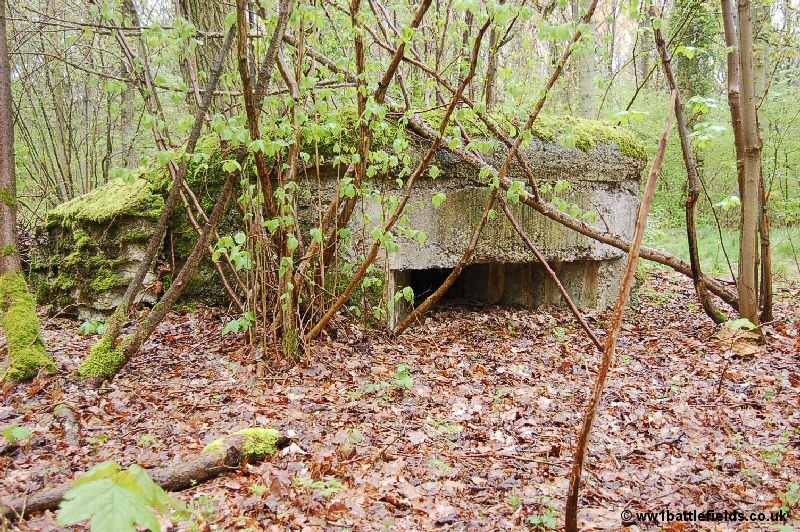 The position here was known as Prowse Point during the war, and the Australian 9th Infantry Brigade War Diary refers to a Regimental First Aid Post located here in June 1917, as well as a ‘hot food and drink dug-out’. Today the total number of British and Commonwealth burials here is 224, and there are 12 German graves. The pool now in front of the Cross of Sacrifice, seen in the photo above right, was actually part of the front line here. Prowse Point Cemetery is where the remains of men whose bodies have been discovered in recent times in or near Plugstreet wood have been reburied. 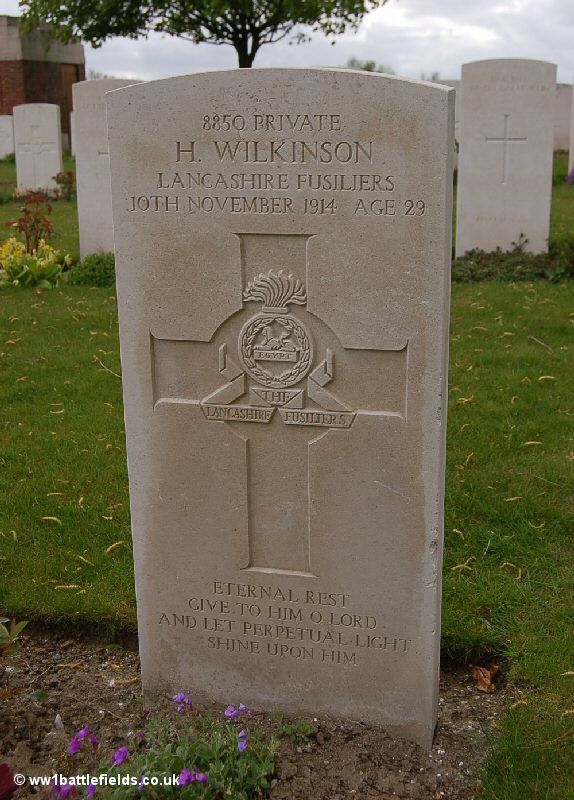 One was Private Harry Wilkinson of the 2/Lancashire Fusiliers. Harry was killed in action on the 10th of November 1914. His body was found in 2000, and he was reburied here (Plot 1 grave A7) with full honours in 2001 . 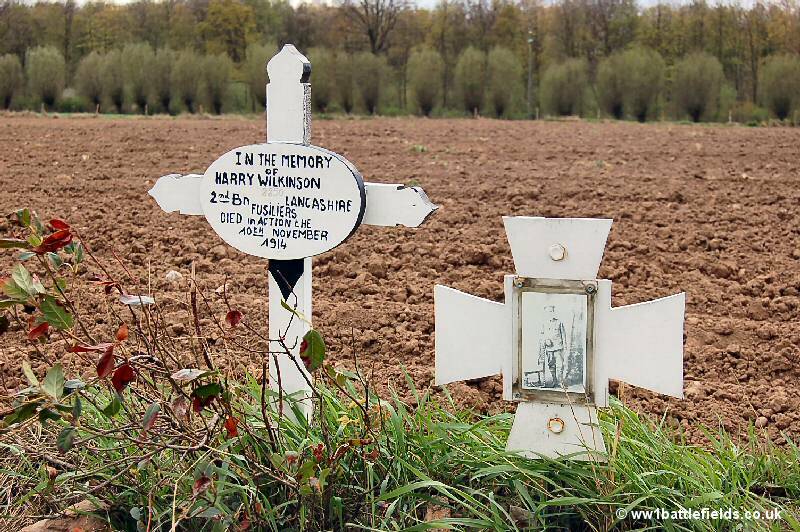 A cross commemorating Harry Wilkinson stands by the side of the road near to where his remains were found, 86 years after he died. This cross is not far from Prowse Point Cemetery, and can be reached by following the minor road past the Khaki Chums Cross and turning right at the end of this road. The cross (above right) is small, located on the right hand side of the road, and easy to miss. 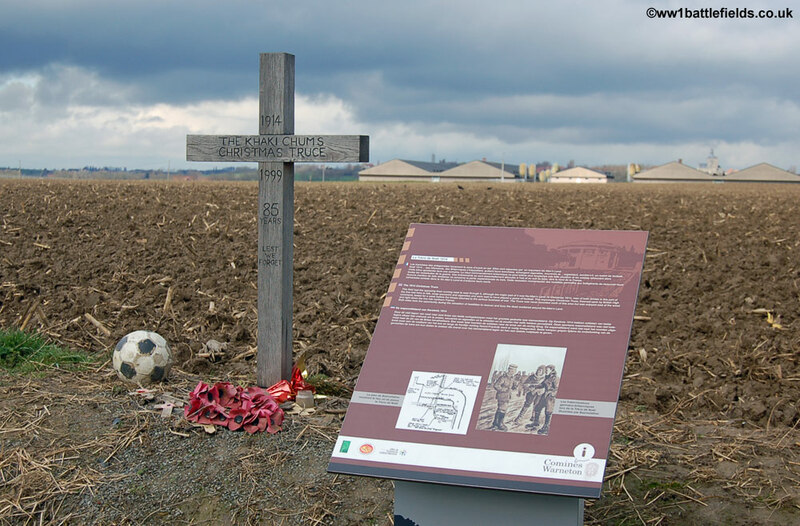 In the field behind this cross, the remains of three more British soldiers were found in March 2006. An identity disc enabled one to be identified as Private Richard Lancaster, who like Harry Wilkinson served with the 2nd Lancashire Fusiliers and also died on the 10th of November 1914. 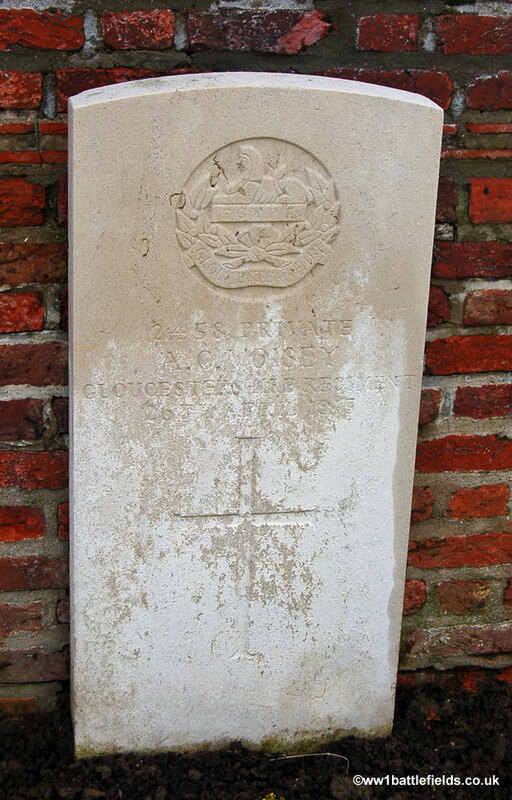 Richard Lancaster’s remains were also reburied at Prowse Point Cemetery (Plot 3 Grave C1B) along with the other two soldiers who could not be identified. 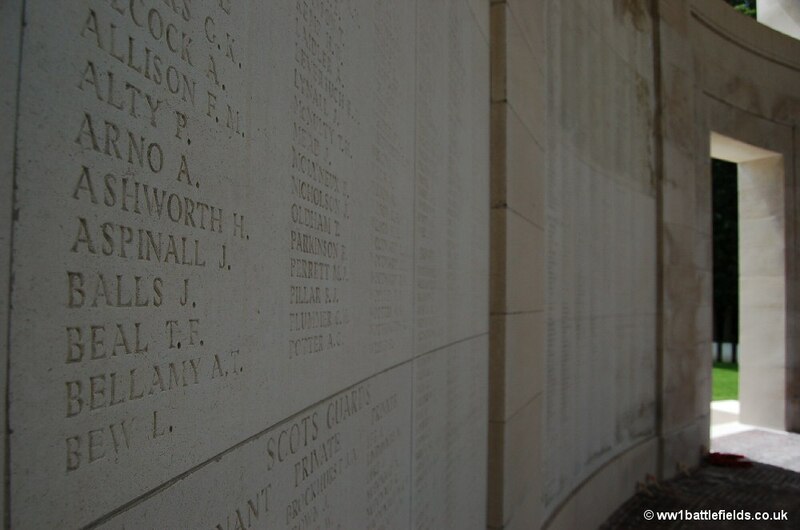 Richard Lancaster’s name is also still on Panel 4 of the Ploegsteert Memorial, Belgium, but will be removed when the panel is next replaced. From the left of Prowse Point Cemetery, a track leads down towards the wood. About 100 yards down this track is a small cemetery. This is Mud Corner Cemetery. During the War there was another small cemetery (called Prowse Point Lower Cemetery) which was located between Mud Corner and Prowse Point. The thirteen graves there were moved to Strand Military Cemetery (see later on this page) after the war. Mud Corner Cemetery was begun during the Battle of Messines, on June 7th, 1917, and was only used until December of that year. It contains nearly all Australian and New Zealand graves, with only one from the UK. The track continues past Mud Corner Cemetery, and a left turn then leads into Ploegsteert Wood. There are green CWGC signs to three other cemeteries which are located within the wood itself. There is an excellent walk covering the wood in Paul Reed’s Walking Ypres. 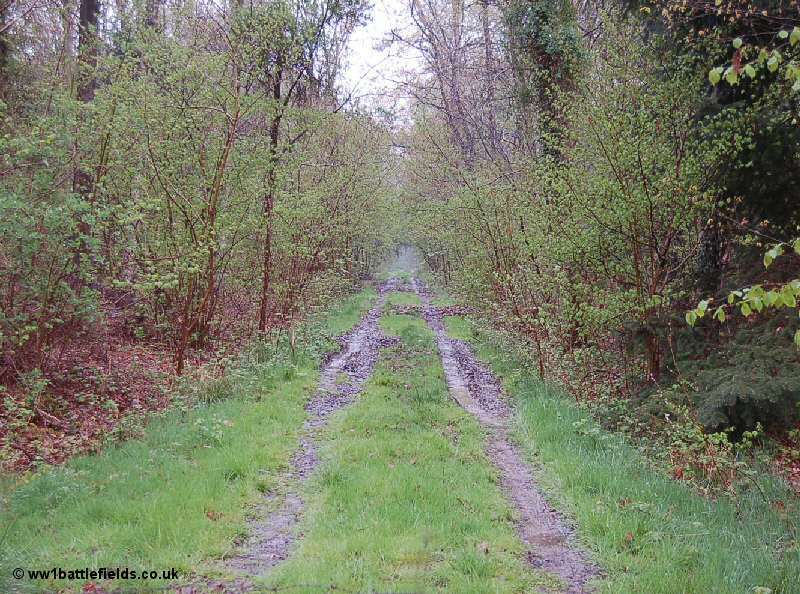 It should be noted that apart from the tracks to the cemeteries, the wood is private property. Entering the wood and following the track round as it bends to the left, eventually there is a “cross-roads” of tracks. Here one can go either left (towards Toronto Avenue Cemetery) or right (towards Ploegsteert Wood Military Cemetery and Rifle House Cemetery). Again, these are clearly signposted. Toronto Avenue Cemetery is a small, original cemetery, with just three rows of graves. Despite the Canadian connotations of the name, those buried at Toronto Avenue Cemetery were all Australians, men who fell at the Battle of Messines. Just to the right of the Great Cross is a single grave in row C. This is marked on the plan in the cemetery register by the name of the man buried here – Piggott. Captain Francis John Piggott died on the 10th of June 1917. He enlisted as a Lieutenant aged 33 near Sydney with “C” Company, 36th Battalion on the 17th of February 1916. He sailed on the Beltana from Sydney on the 13th of May 1916, the journey to Plymouth taking nearly two months. He was promoted to Captain in August 1916, and was killed in action on June the 10th 1917. His three line long will made in November 1916 leaves £50 to Miss Gwendoline Treloar, and everything else to his mother, Mary Piggott. Also buried here is Private Alfred Alexander Burns, also of the Australian 36th Battalion, who died on the 7th June 1917, age 25. The inscription on his grave reads “In remembrance of my loving husband and our dear Daddy”. Burns was married to Florence, and had two daughters when he died – named Florence and Mary. “……a place of horrors. The gruesome relics of the earlier hand-to-hand fighting were still in evidence, and broken fragments of rifles and bayonets, half-buried bodies, swamped dug-outs and hastily built redoubts all told their story plainly………Everywhere were scenes of terrific fighting, and the wood was oppressive with their spirits of men slain in passion, not honest healthy ghosts. Two large crosses marked the graves of German soldiers of the 104th Saxon Infantry in mass. In one dug-out, Purity Villa, our men had been surprised by a German patrol and butchered in their sleep“. Just off the track to the right before Ploegsteert Wood Military Cemetery the remains of bunkers can be seen. Just past these bunkers, a ride crosses the track; this is “The Strand”, which eventually runs out of the wood on the west, near Charing Cross and Strand Cemetery. Ploegsteert Wood Military Cemetery was made by joining up several small separate cemeteries which had been started in the war by different units. These included the Somerset Light Infantry Cemetery (started by the 1st SLI Battalion in December 1914), the Bucks Cemetery (started in April 1915) and the 1/5th Gloucesters (made between April and May 1915). Other graves were added later during the War, forming a single larger cemetery. At the far right end of the cemetery, the original small plot of Somerset Light Infantry burials can be clearly seen. These burials date from late 1914 to early 1915, with many from the 19th of December 1914 – the time of 11th Brigade’s attack on the position known as the ‘Birdcage’. 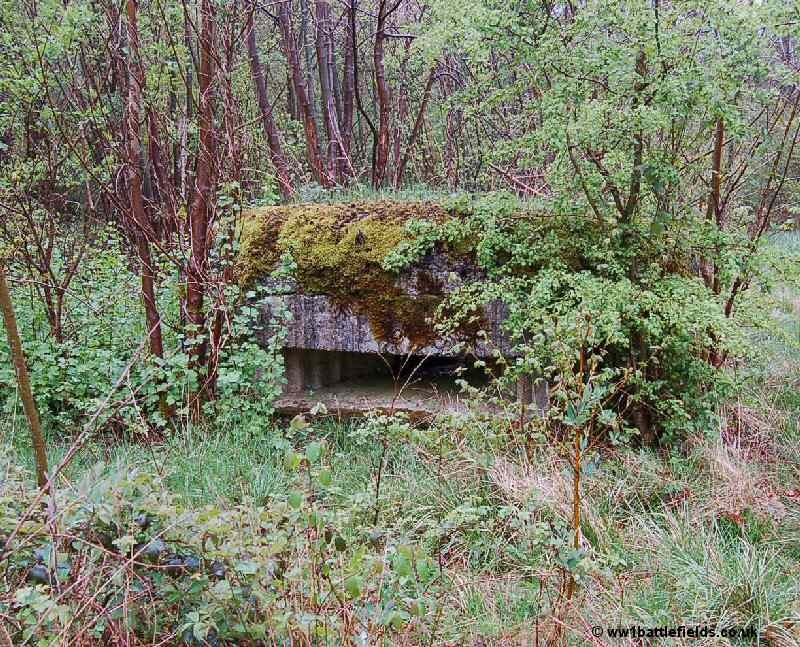 This was a German fortified strongpoint just to the east of the wood, which gained its name from the amount of wire placed around the position. 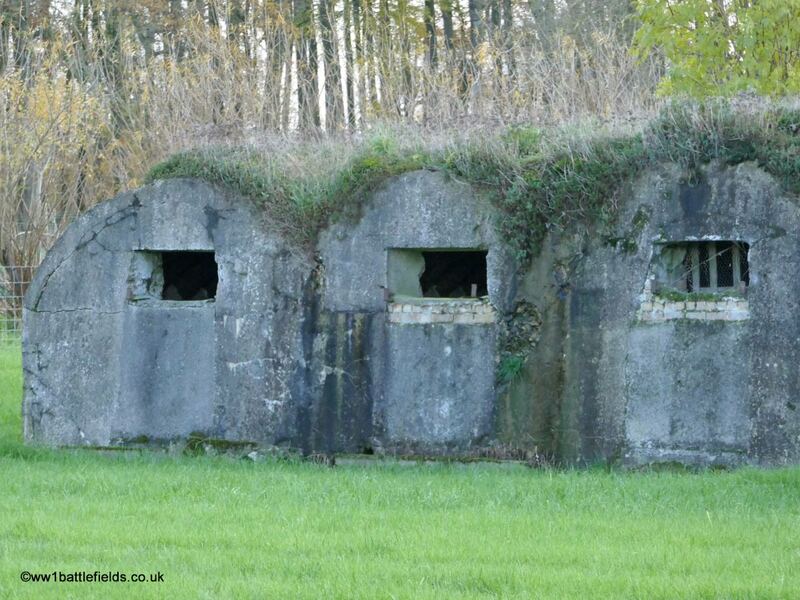 The 1/Somerset Light Infantry were a part of this attack, and did take the German lines, but not the ‘Birdcage’ itself. A little further along the track is the final cemetery within the wood, Rifle House Cemetery. This was named after a hut which was used as a headquarters, which stood nearby. Again, it is an early cemetery, begun in November 1914. There is nothing left of Rifle House itself, but some small lumps of concrete and iron fortification bars can be seen across the track to the rear of the cemetery. The track past the cemetery eventually leads to a cross-roads of tracks, and the one running north-south is Hunter Avenue. At points along this track are the remains of small strongpoints, or bunkers, which were given names such as Eel-Pie Fort and Eccles Fort. There are a number of other CWGC cemeteries in the area around Ploegsteert which are worth visiting. Many of the place names used for locations in and around the Ploegsteert area during the war show a strong London connection. For example, there was the Strand, Hyde Park Corner, Somerset House, Charing Cross, Regent Street and Oxford and Piccadilly Circuses. Some of the cemeteries here also bear London names. Travelling on the main N365 north from the village, before the Memorial to the Missing, on the right hand side of the main road is Strand Military Cemetery. This is a fairly large cemetery, with over 1000 burials. Immediately inside, along the wall adjacent to the road are special memorials. The cemetery was started very early in the war, when two soldiers were buried here in October 1914. It was then not used again until April 1917, and the original wartime burials can be found in the wider part of the cemetery to the rear – Plots 1 to 6. After the Armistice, other graves were brought in to form the later plots, nearer the road. 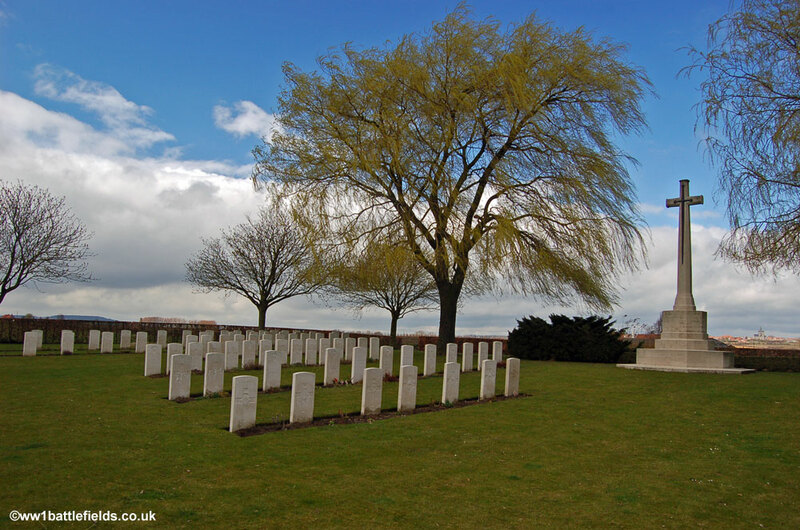 A large block (known as Dunhallow blocks, after the cemetery they were first used in) commemorates 11 men who were buried in Ploegsteert Wood New Cemetery in 1914, but whose graves were later destroyed. There are 14 special memorial ‘headstones’, 11 to these men and three to men buried in three other cemeteries whose graves were later lost. Two of these were buried by the Germans. 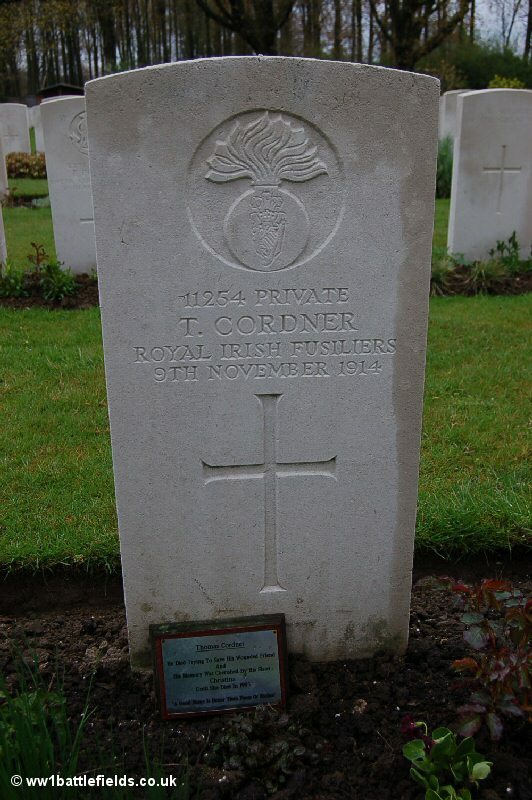 Buried in Plot IX, grave N.4 is Private Thomas Cordner of the 1st Royal Irish Fusiliers. 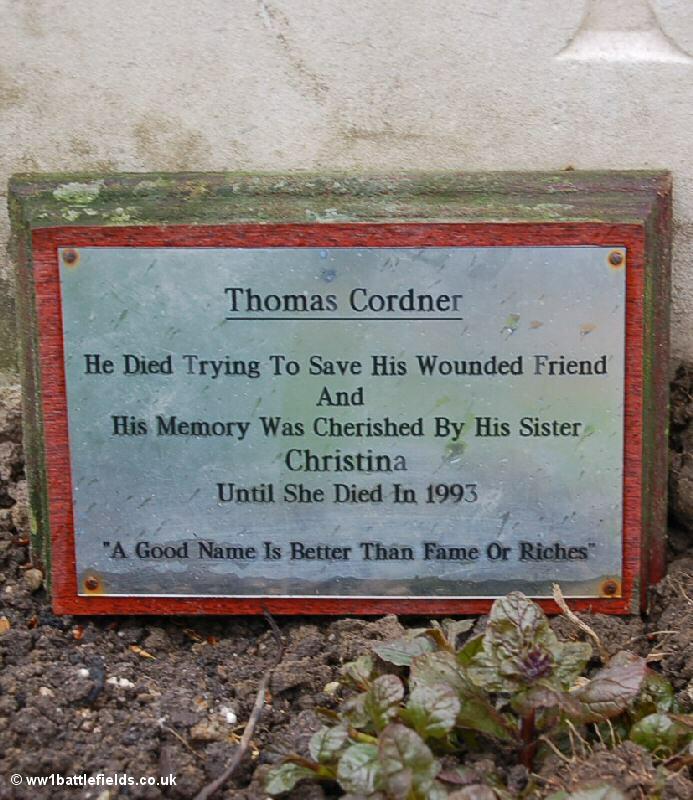 At the base of his headstone is a plaque, recording that he died trying to save a wounded friend, and that his memory was cherished by his sister who died in 1993. It ends with the quotation “A good name is better than fame or riches”. Just north of Strand cemetery, past the first house and on the right hand side of the road three bunkers together can be seen. They were originally a part of the Advanced Dressing Station located at ‘Charing Cross’. 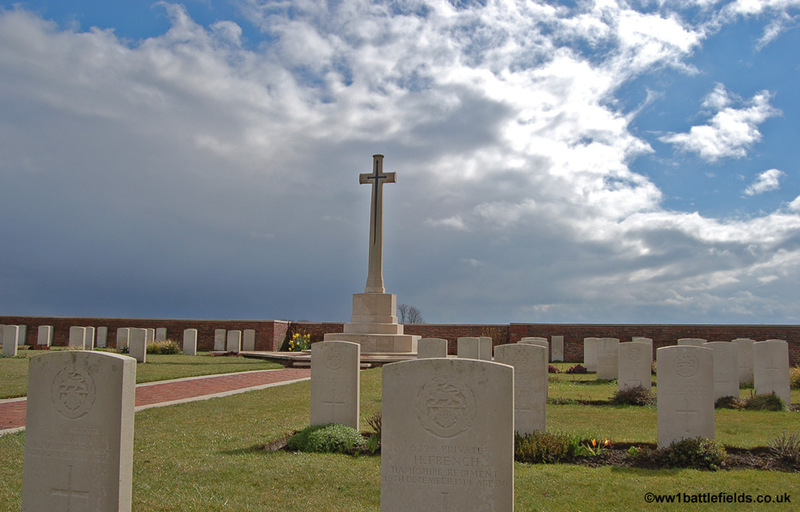 This cemetery is south of Plugstreet Wood and east of the village, on the N515 road between Ploegsteert and Le Gheer. The cemetery was begun by the 1st East Lancashires and 1st Hampshires in November 1914. Thomas Nash served with the 4th Gloucesters and kept a diary of his war-time experiences. He survived the war and after his death, his son edited and published his memoirs under the title The Diary of an Unprofessional Soldier. Nash was based at Ploegsteert in 1915, and on his first night in the trenches was greeted with “an indescribable odour”. When the dawn broke, they found that this was due to “heaps of dead Germans lying just in front of our parapet”, and also “a field of decaying corpses behind our trenches”. Nash also records some of his comrades who died – and several of them lie here in Lancashire Cottage Cemetery. “April 27th : Pounds was shot through the head at dawn, and Voisey later……I stumbled against Voisey wrapped up in a blanket, waiting in a corner of C Company’s headquarters until the body can be got back. More trouble this afternoon; a German shell burst in Happy Valley wounding five men. Badman has since died and Corporal Chapman and Granfield are in a critical condition“. 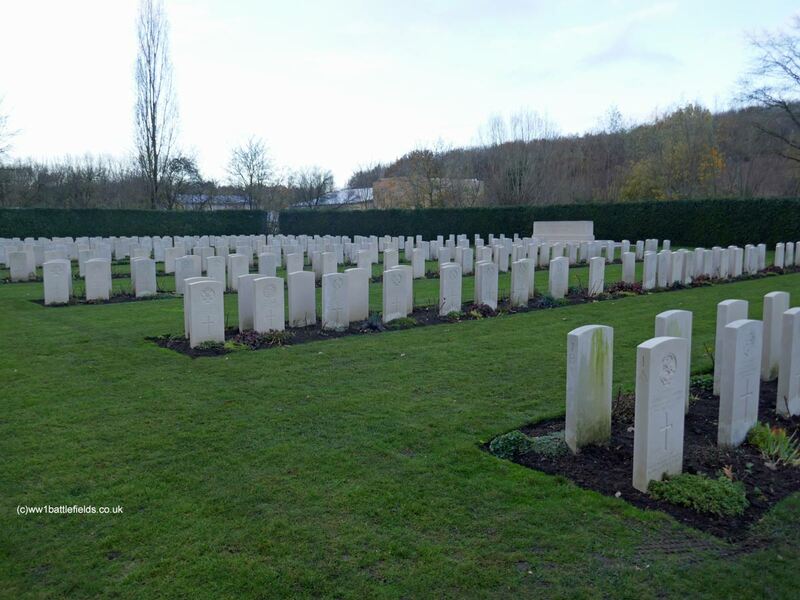 Pound (rather than Pounds, according to the cemetery register), Voisey and Badman are buried next to one another in Plot 1, row F at the back left of the cemetery. 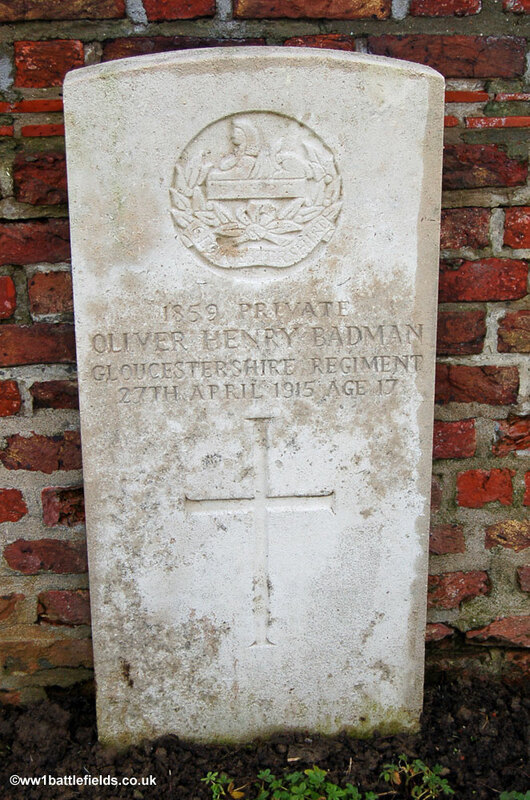 These brief descriptions add to the story behind the names; the corpse of Voisey wrapped and left in a corner until there was time to take him for burial, and the death following wounding by a shell of Private Oliver Badman of Bristol – who was just 17 when he died. Churchill’s regiment was the Queens Own Oxfordshire Hussars, and following his resignation he wasted no time. He made a speech in the House of Commons about his resignation on Monday the 15th of November 1915, and in the morning of the 18th he left London for France. By the 22nd of November he was attached to the Grenadier Guards, and reported to be in the trenches. According to Douglas Haig’s diary Churchill wanted command of an Infantry Brigade. This was around the time that Haig took over as Commander-in-Chief from Sir John French. Haig’s diary for the 14th of December 1915 records that French wanted to give Churchill such a command. However, Haig wrote in his diary that this was “impossible, until Winston had shewn that he could bear responsibility as CO of a battalion“. Churchill was appointed Commanding Officer of the 6th Royal Scots Fusiliers, and was based at Ploegsteert for some time with this unit around early 1916.